A spectacular five minute colourful fireworks display. Your display can be loud and proud, or pretty and quite; or a combination of both, it’s up to you. Choose your favourite colours for the finale and your display is sure to have every one cheering at the end. Add optional extras to your display including; extra fireworks for a more dramatic opening and a bigger finale, special Red Heart shaped fireworks, or a VIP start button. Want a bigger and longer display? Upgrade to a Crackling Gold display. Fancy music and fireworks? Then look at a Dazzling Symphony or a Glittering Crescendo fireworks display package. For bespoke displays take a look at examples of our Priceless Platinum fireworks displays. Need quiet fireworks? 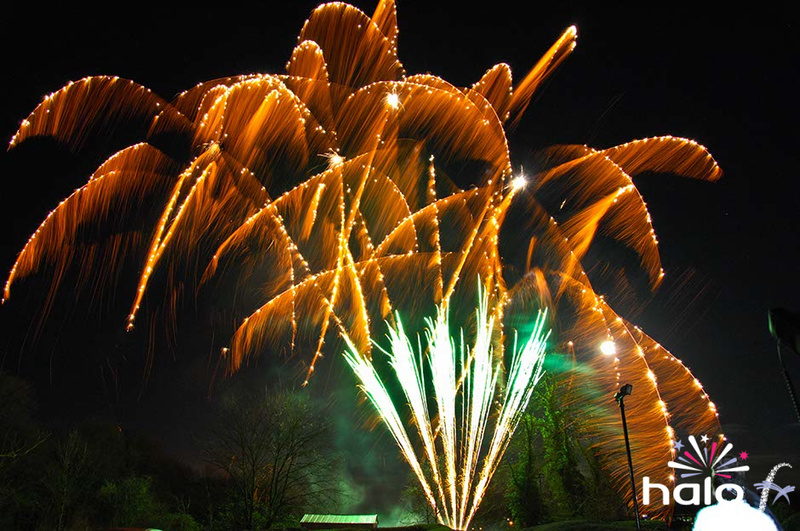 – All our fireworks display packages can be designed to use low noise fireworks. 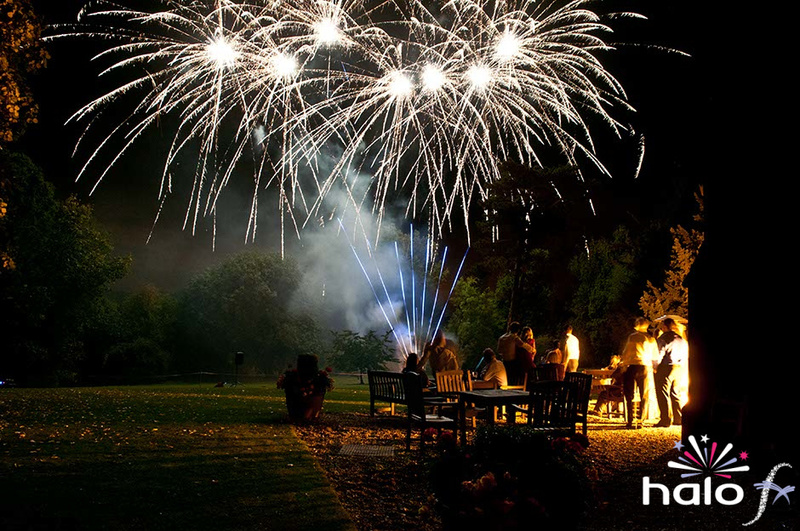 Halo-FX - leading providers of amazing fireworks and stage pyrotechnics, colourful confetti and streamers, awesome special effects, contemporary illuminated and pyrotechnic table centres; all designed to add the WOW factor to your event.